As I am an experienced Web/software developer (C# and .NET) I am hooked to a Microsoft solution. Together with a Raspberry Pi 2B (you can also use the 3 as it has WiFi integrated) and an image of Windows IoT I have a good setup to achieve my goal. This startup and its materials will cost you approx 160 euro in total. The installation on the RPi is fairly easy. By opening the IoT Dashboard, you have the ‘Set up a new device’ option on the left. Make sure you have the micro SD plugged in your pc and have it selected as the Drive. Hit ‘Download & Install’ and after a couple of minutes the RPi should be ready. Put the microSD in the RPi, together with the power cable and power it up. After a couple of minutes all things should be set up and ready to use. In case you are using the RPi 2B, this is the moment to plugin the WiFi dongle. There are 2 ways to check if the RPi is up and running, by HDMi attached to the RPi and screen or making use of the Device Portal (which I prefer the most). Best way to configure the WiFi is to connect the RPi with a network cable on your modem/access point/whatever you use to connect on the LAN. Once connected, open the IoT Dashboard and make sure you have the ‘My devices’ option selected. If everything is connected in the right way, your RPi should be visible in the list. 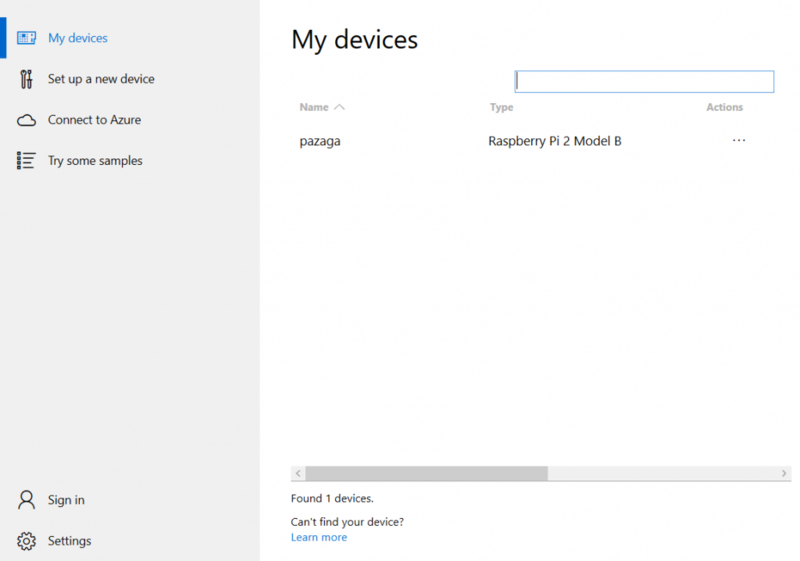 Press the ‘…’ next to the RPi and select ‘Open in Device Portal’. You should be prompt with the login credentials to access your RPi. These are the credentials your have set up in the ‘Setup a new device’ step. Once logged in, go to the ‘Connectivity’ option and choose ‘Network’. This is the part to setup the WiFi where the UI is pretty straight forward. Once connected to the WiFi, you can detach the network cable. 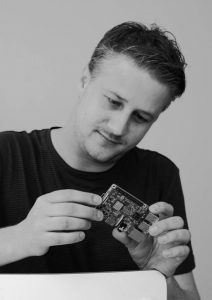 The RPi should still be remotely connectable. If not, you might want to reconnect to the Device Portal as the IP Address of the RPi will change between wired and WiFi connection. Next chapter I will dive into the infrastructure and how the connections between a web interface and the RPi is established.